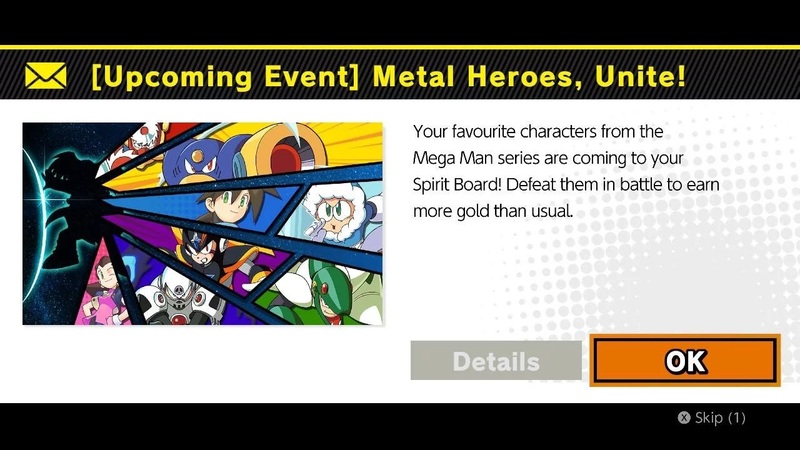 Mega Man World News: Smash Bros Ultimate is getting a Mega Man Spirit event! Smash Bros Ultimate is getting a Mega Man Spirit event! 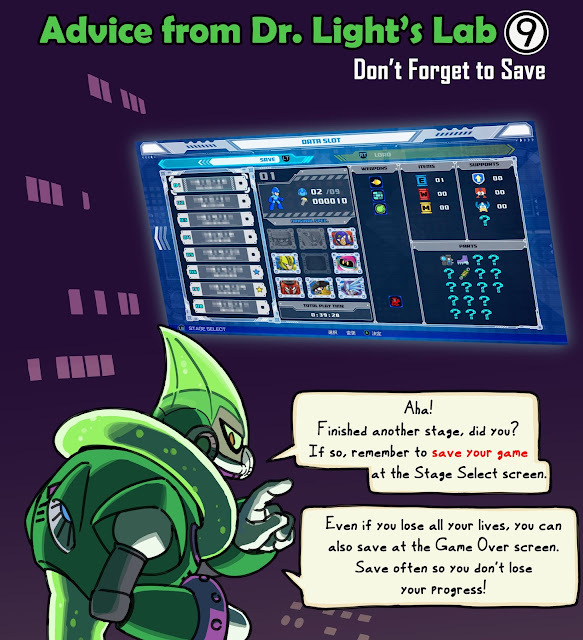 The event is kicking off today / February 1st and will run until the 3rd / 4th (depending on time zone). 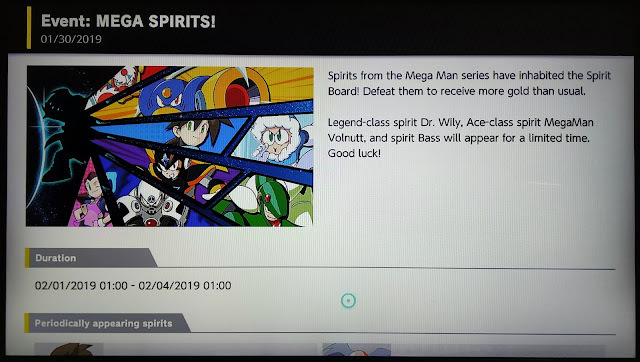 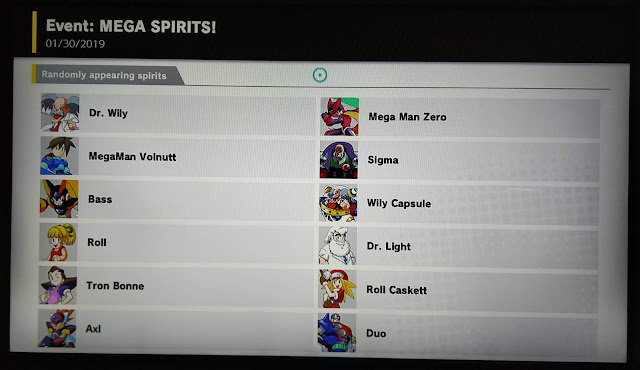 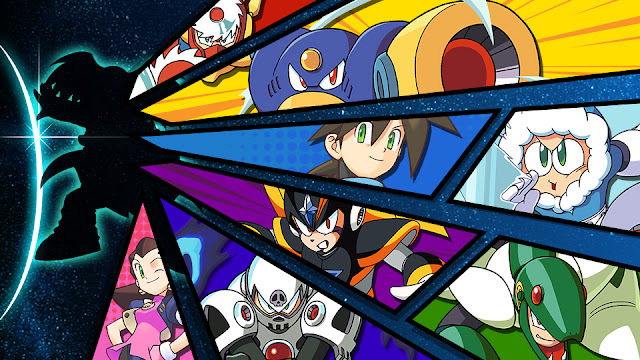 During this event all of the Mega Man related spirits will appear randomly throughout with Volnutt, Wily, and Bass also appearing at specific times each day to give you a better chance to snag them. Below is the screen cap of the entire event listing on Switch. 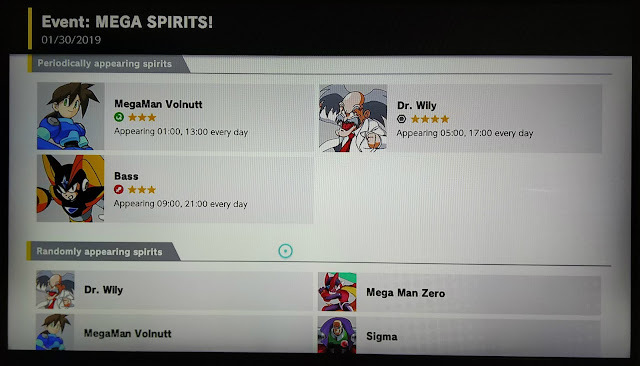 Guts Man coming to Street Fighter V next month!